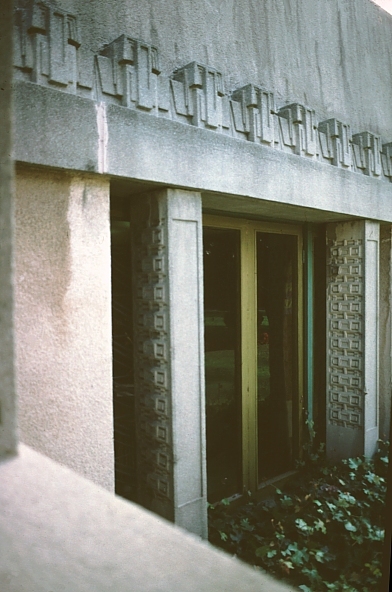 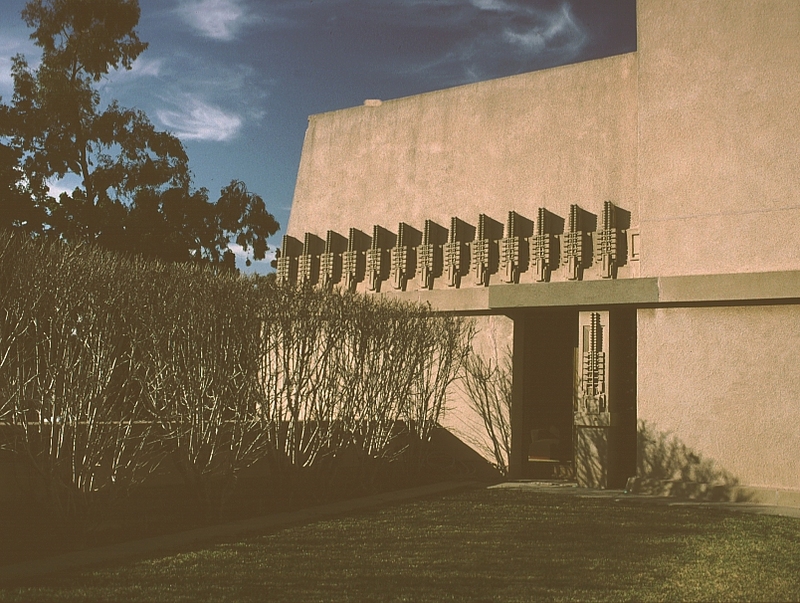 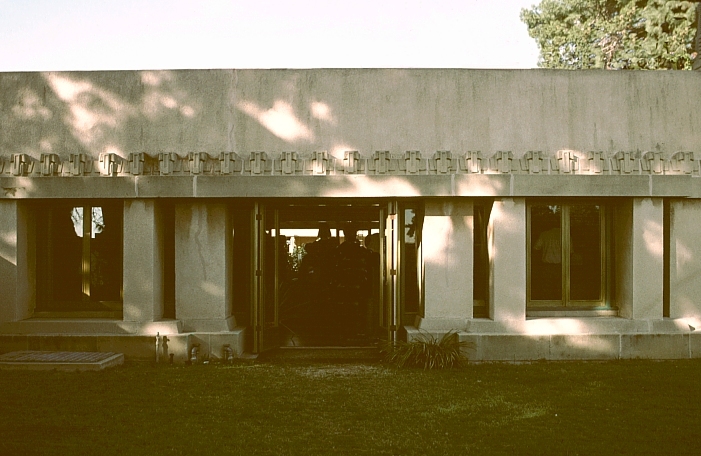 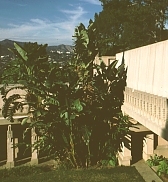 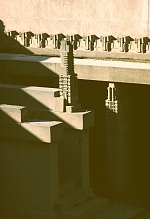 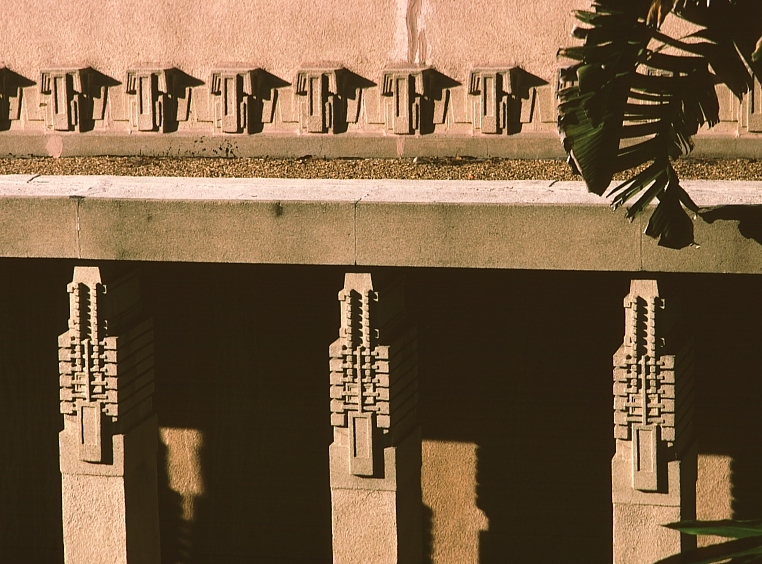 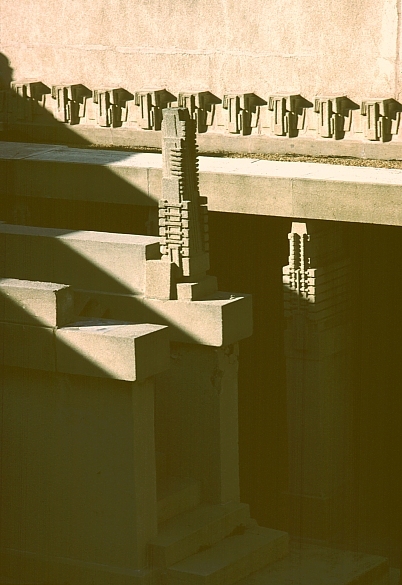 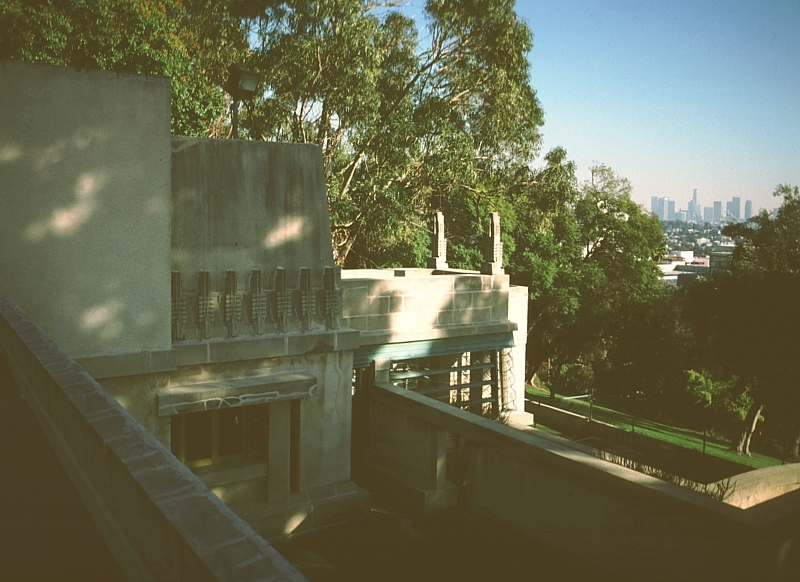 Images of Aline Barnsdall House (Hollyhock House) by Frank Lloyd Wright. 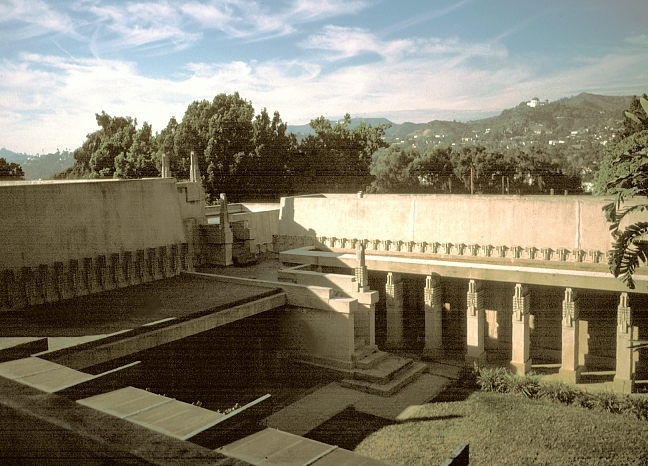 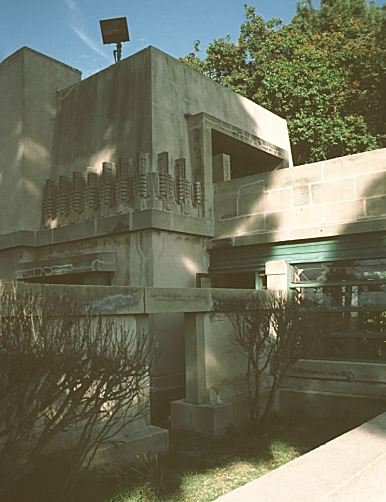 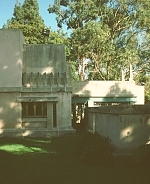 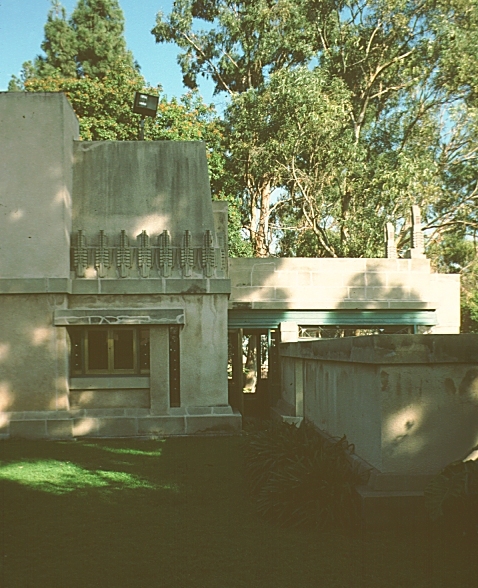 Like the Charles Ennis House, executed later, this unique house illustrates Wright's fascination with pre-Columbian architecture, in this case Mayan temples. 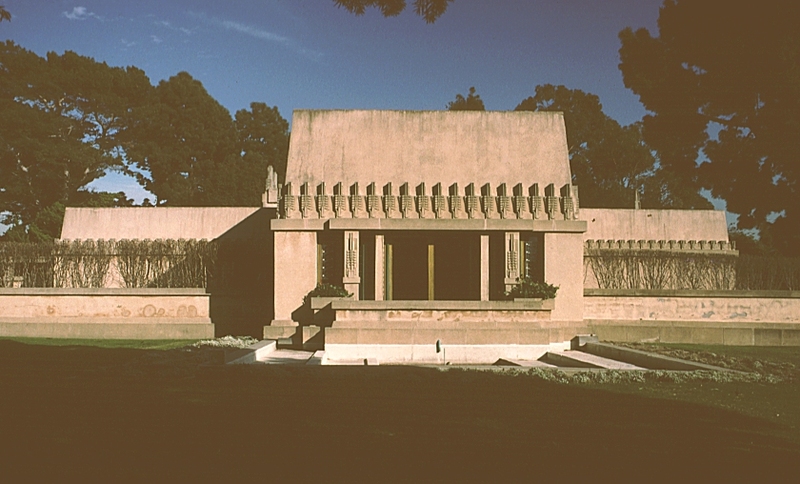 Stylized patterns of hollyhocks, projecting pinnacles, and a site on a hill surrounded by olive trees and other foliage complete the historical "look" of this house, transplanted to southern California. 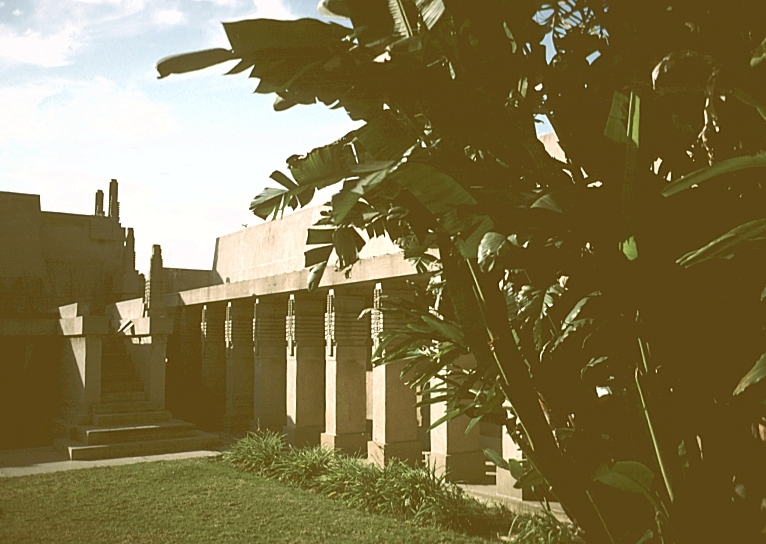 The dining room, kitchen, and servants quarters extend along the court on the north, while a long gallery and bedrooms extend on the south. 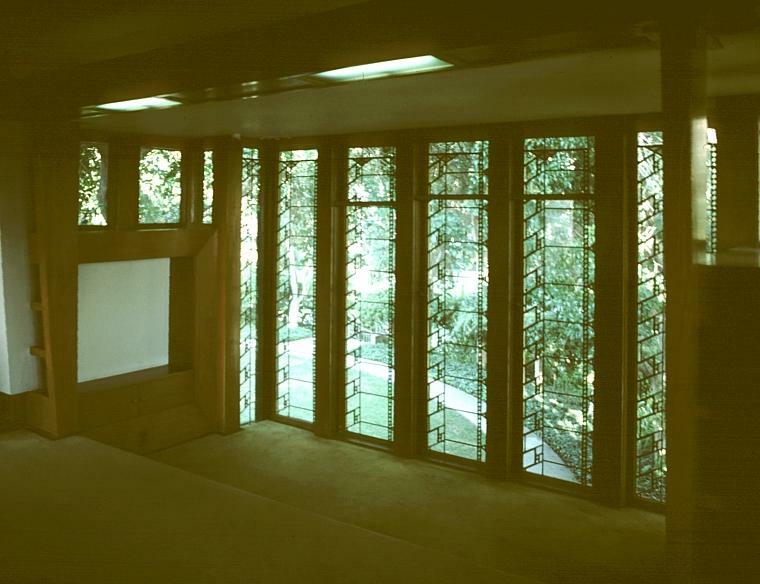 Click here to see additional views of the Aline Barnsdall House.